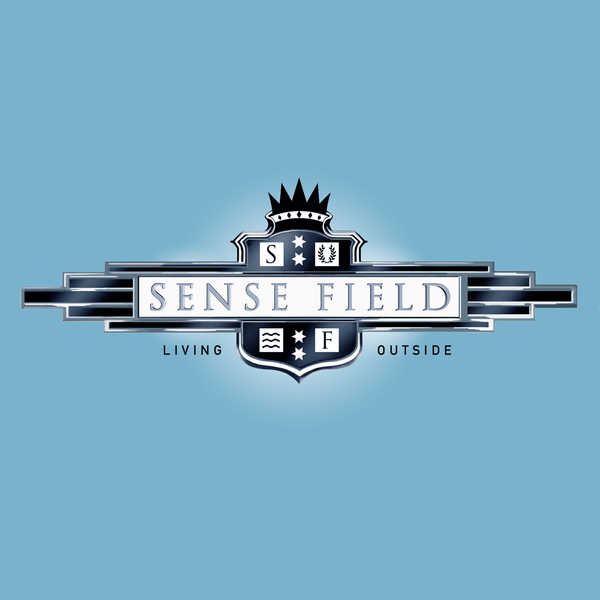 Following the breakout mainstream success of the song “Save Yourself” (from the album Tonight and Forever), Sense Field re-entered the studio to record what would be their last full-length album "Living Outside." Now released on vinyl for the first time ever, the pressing includes the Ken Andrews (Failure) produced bonus track, "The Horse Is Alive." 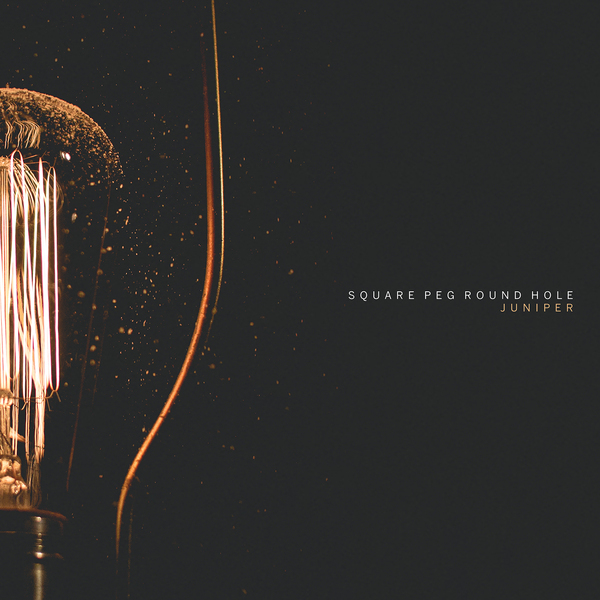 Elegant, articulate, and expansive, Juniper, the new record from instrumental percussion trio Square Peg Round Hole manages to convey – and evoke – an entire range of human emotions despite its lack of a single sung word. "Because we are an instrumental group, our hope is that people connect with the songs and assign their own meanings to them," says Evan Chapman. "Without lyrics telling the listener how to feel, it leaves the music as an open-ended question." A sonic mirror reflecting the listener’s subconscious emotional state back at themselves, Juniper engages with the fundamental and primeval. The ultimate headphone record, luxurious with the energy of unison drums, or the serenity of bowed vibraphone, and the fascinating timbres of found objects/scrap metals, Juniper is a bold artist statement from a fearless creative force, at once expansive and intimate. Together with mix engineer Bryan Laurenson (Copeland), the band has created a record that speaks without words, taking listeners on a journey through the self. "When the going gets tough, the tough get going." If that’s true, consider Secret Stuff gone. The Nashville trio has been through its fair share of tough, and it comes out in droves in the band’s forthcoming release, This is Fine. Members Michael Pfohl, Nathan Childers, and Alexander Gonser juggled relationships, the hosting of bi-weekly house shows, and a full-time college course load while writing and recording the impassioned, ardent five song EP – multiple times. This is Fine captures the angst and misery of formative years, set on the backdrop of struggling to do even that. It focuses on shortcomings, the burdens of stress, overly critical self-analysis, and coming to terms with it all (the acknowledgement of which is where the title originates). 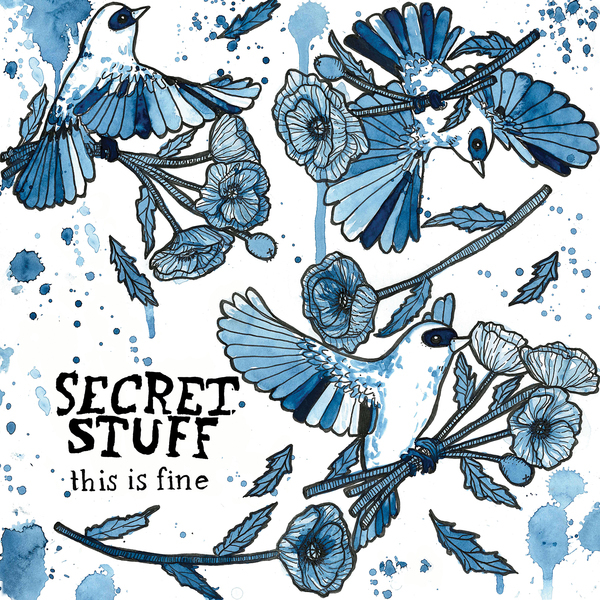 Produced and engineered by Jon Hicks (Relient K, Haste the Day, Dance Gavin Dance), the band found a way to use their trials to define This is Fine — all five songs survey a fully focused mastery of songwriting, instrumentation, and melody. After spending years as a contributing songwriter and active member of the fan adored indie-pop band Mae, Rob Sweitzer made a decision to leave the band in 2008 due to personal reasons, intraband tensions, and a desire to focus on home life and the budding stages of his own independent musical path. With hundreds of thousands of record sales, countless sold out shows, and scores of critical accolades under his belt, there was no shortage of momentum propelling Sweitzer’s post-Mae ambitions. Inspired by bands like Delta Spirit, Broken Social Scene, Elbow, and Doves, Sweitzer accumulated a mountain of demos that have been meticulously whittled down to a six song narrative that will serve as My God, It’s Full of Stars’ official introduction to the world. M29 is a project that has been both long in the works and completely reborn. It is an attempt to untangle conversational wonderings and existential inquiry through sonic layers, cathartic songwriting, and deliberate production. 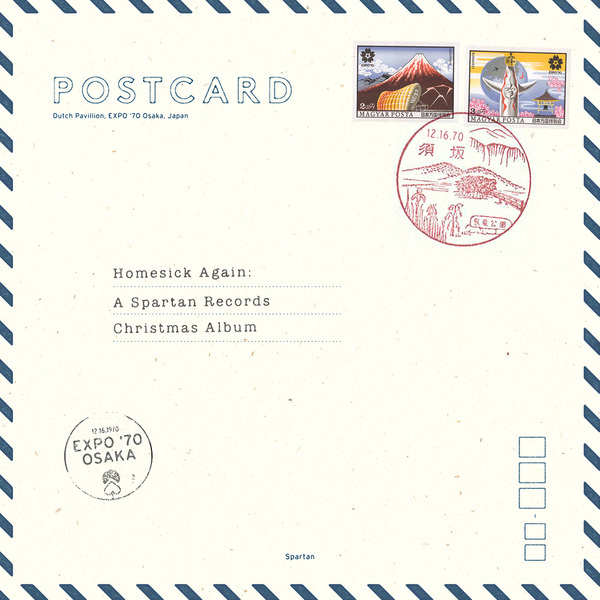 Spartan proudly returns with their second annual holiday compilation, Homesick Again: A Spartan Records Christmas Album. Featuring seven brand new holiday songs, the album displays the label’s eclectic roster and includes a vast array of musical offerings ranging from Renaissance Fair’s rendition of the beloved Christmas classic “White Christmas” to covers of well-known holiday songs from Jimmy Eat World (Kiska), Sufjan Stevens (Square Peg Round Hole), and SpongeBob SquarePants (Secret Stuff) -- plus all new original holiday songs from The Foxery, My God It’s Full of Stars, and Sullivan. Reigning from the depths of Orange County, Lucky Scars has but one goal and ambition: to rock your backyard party. 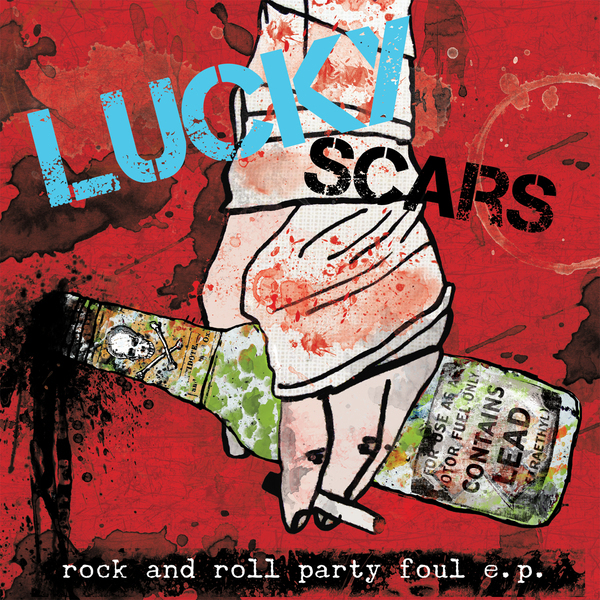 With songs about a female assassin, fear of the government, breaking the law, and killing people in positions of power, Lucky Scars — featuring former members of Sense Field and Ignite — exists to further rattle those who live comfortably in paranoia. 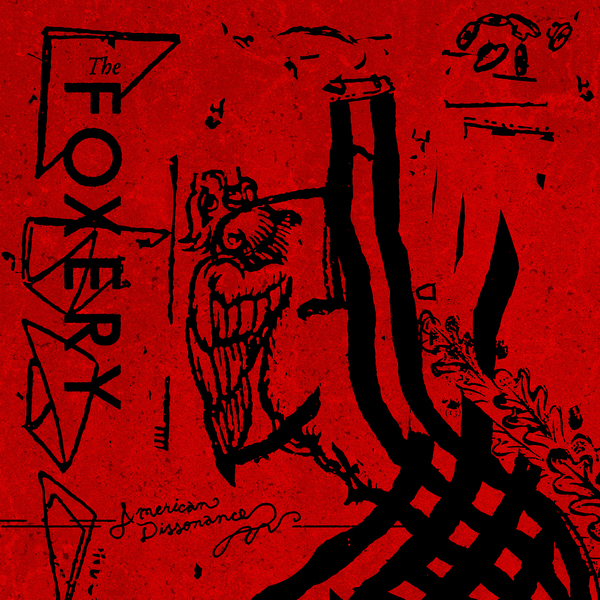 Produced by Jim Monroe (CJ Ramone, The Adolescents) and mastered by Stephen Egerton (Descendants, All, Flag), the EP contains four breakneck blasts of good, old-fashioned, beer-swillin' American rock and roll. Since their inception in late 2011, Norwegian noise rock duo Barren Womb have been raising both eyebrows and hell with their nasty swill of Punk 'n' Roll and Blackened Country Noise. Nique Everything, Barren Womb’s second and arguably most defining album to date, features 10 brand new bursts of easy listening for the hard of hearing. It sees the band further exploring soundscapes, instrumentation, and themes more commonly found in Country/Americana than in Noise Rock. Yet it still retains every ounce of energy and conviction the duo has been known for in the past. 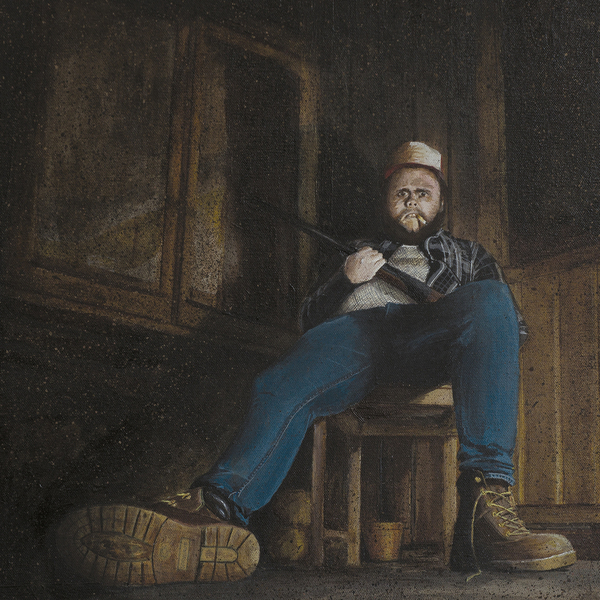 From the crushingly heavy opening track "Make sure you get yr whole head in front of the shotgun" via the frenetic Country Punk of tracks like "Piss jugs" and "Town’s back the way you came" to the swampy stomp of "Devil run the game" and "White raven," trails are being blazed left, right and center. Renaissance Fair is an indie rock band consisting of Nicholas Bryley (vocals/guitar), Wesley (guitar/vocals), Jared (bass/vocals), and Branson Summers (drums). Since they were 9 and 10, the Summers brothers have been playing music together. Starting as a classic rock cover band and moving into covering modern alternative and punk bands, as they got older, they began writing their own music and creating a name for themselves as a pop-punk band called The Summers. Over time, The Summers got stronger as musicians and writers and began moving away from the pop-punk writing style. 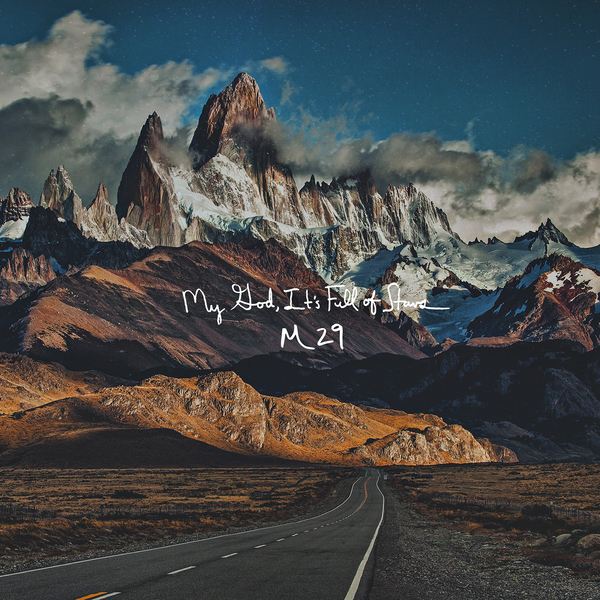 Meanwhile in the Memphis underground scene, Nicholas Bryley was having a very similar progression in his writing with his band Midway, and it wasn't long until the four of them joined forces. 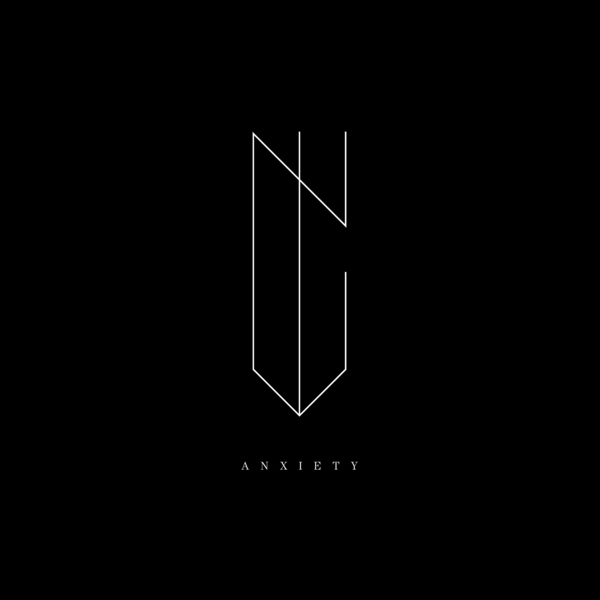 In the summer of 2014, Nick and Wesley began writing for the new project and soon found themselves with an original sound unlike anything they had produced before. The band relocated to Nashville in early 2015 and were immediately in the studio recording their debut self-titled EP. 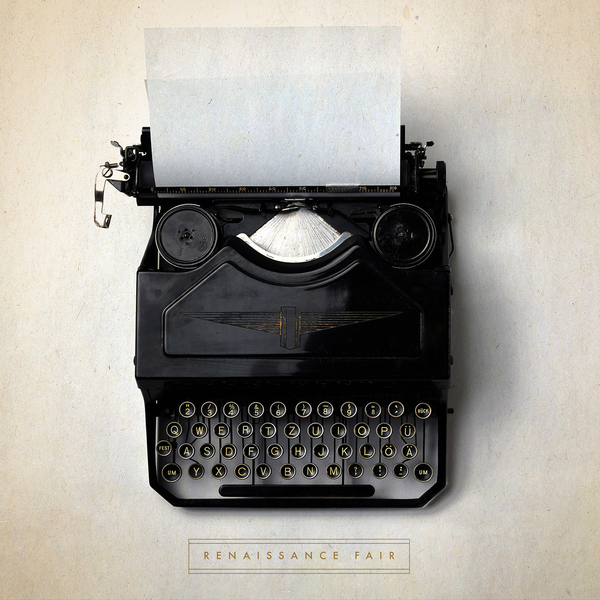 Drawing inspiration from decades of music and art, Renaissance Fair has a well balanced sound with their melodic riffs, distinct vocal harmonies, poetic lyrics - complimented by subtle hints of jazz and alternative rock influences. Hiraeth: a word without a concrete English translation. While evading an unequivocal definition, it exudes melancholy. Those who have attempted to define it describe the word as a mixture of homesickness, nostalgia, grief, and longing. It is the oppressive guilt associated with memories now passed; the bitter remembrance of joyous occasions that can never be revisited. It is also the title of Shy, Low’s newest full-length album. Just like the word Hiraeth itself, Shy, Low’s continual evolution make them a band that is not easy to define. 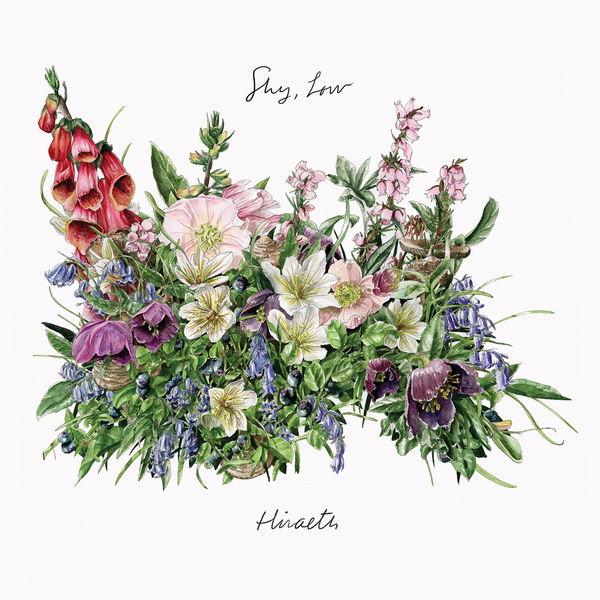 While it would be convenient to corral the band into the bucket of canonical post-rock bands like Mono, Mogwai, and This Will Destroy You, on Hiraeth, Shy, Low’s eclectic palate of musical influences are showcased more broadly than ever before. The band earnestly sifts through the complex relationship between music, art, and the emotions that encapsulate the human experience — and in doing so, they’ve successfully created a brilliantly moving, yet strangely bittersweet 43 minute aural journey. Heavy, majestic, desolate, ominous. 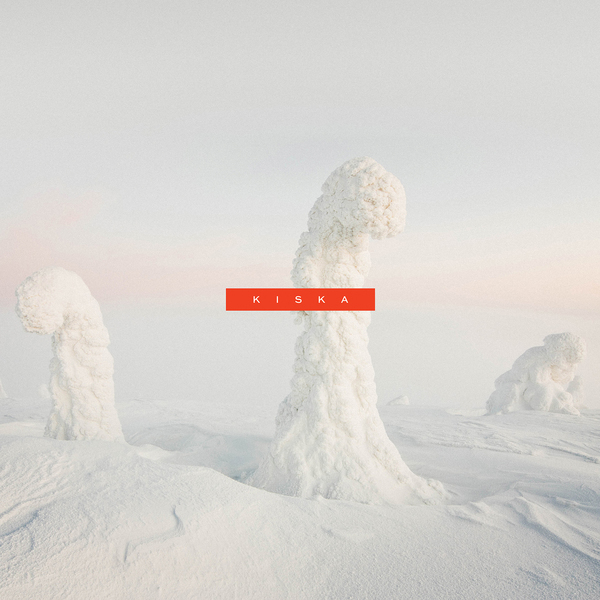 There are no better words to describe Kiska’s self-titled, debut release. Leaving behind the more radio-friendly leanings of the quartet’s former band, Desoto Jones, the musicians reinvented themselves with Kiska, pursuing a heavier, more dynamic, and frenetic direction. In comparative terms, sonically the record falls in the general vicinity of bands like Jawbox, Failure, Rival Schools, and Hum — driving, dynamic, and aggressive, but with clean and resounding choruses. A delicate balance of space, power, grit, and color. NYVES is the new electronic music project featuring Ryan Clark (Demon Hunter) and Randy Torres (ex-Project 86). What began as a cathartic outlet centered on a mutual love for moody, electro-rock music has resulted in one of the most gorgeous full-length records of the year. Dark, pulsing soundscapes are woven together by Clark’s instantly identifiable vocals; resonate layers are balanced by Torres’s crystal clear and expert production; and high levels of experimentation are outweighed only by melodic sensibility and sonic accessibility.